Get a Hobby: Astronomy Apps! Astronomy buffs know their stuff. But for those who want to know more about the universe's vast expanse, a galaxy full of apps exist a touchscreen away. 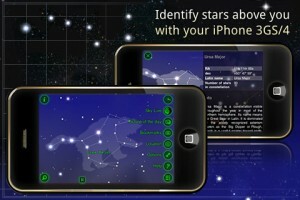 SkySafari: Beginners should use the "lite" version, but for those deep into the cosmos, the full version of this app identifies as many as 300,000 stars and includes countless images from NASA and the ability to identify planets from where you stand. Also includes a nifty "night-vision" theme. Starwalk: Lift up your phone to the dark night and you'll be able to see what stars and planets shine above you with the Star Spotter function. Click on Time Machine and you'll get a preview of what the sky will look like three years from now. Track the rising of the Sun, Venus, Mercury, Jupiter and Saturn. View from the Earth shows 3D perspectives from anywhere on the planet. Planets: This app exhibits a 3D guide to the solar system, and 3D views of planets and the moon, as well as constellation names and rising and setting times for moon. You'll also have access to a fact sheet for each planet. Moon Globe: A close-up look at every nook and cranny of the moon, including 3D graphics and touch navigation. In globe mode, you can peek over the surface of the moon and see Earth hovering in the distance. You can also see where the moon and sun sit in relation to each other and you.